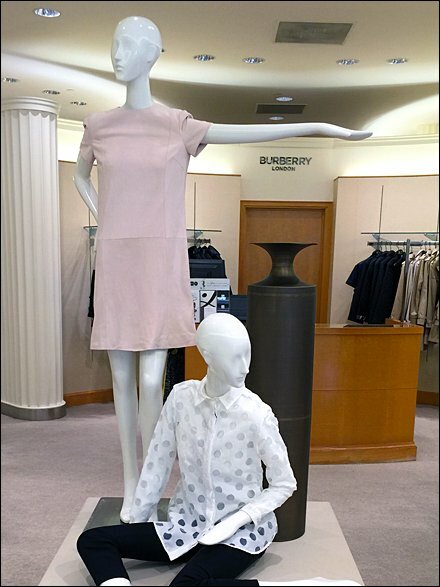 It was only a matter of perspective that made this mannequin a seeming spokesmodel for the Burberry® brand in the background. Note from the gallery that the relationship continued as one approached. Too bad the mannequin fashions were obviously not Burberry. Even a humble fixture reported could tell that from a distance. Still an interesting visual effect to spy on a slow fixtures news day in-store.